It will complement the face to face advice and support that you provide, alongside other local advice providers such as Think Sandwell. bring together a full range of information all in one place, helping residents to save time. It is free and very easy to use. 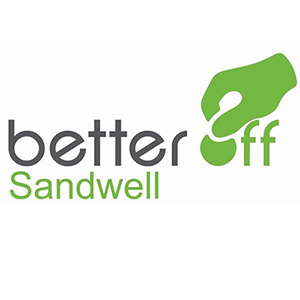 Please help us to make BetterOff Sandwell a success by creating a BetterOff account for yourself (you can do this in a couple of simple steps via Facebook, Google, email or on your mobile phone) and then encourage your service users to set up their own BetterOff Sandwell account so that they can keep on top of their budgeting, job search etc.